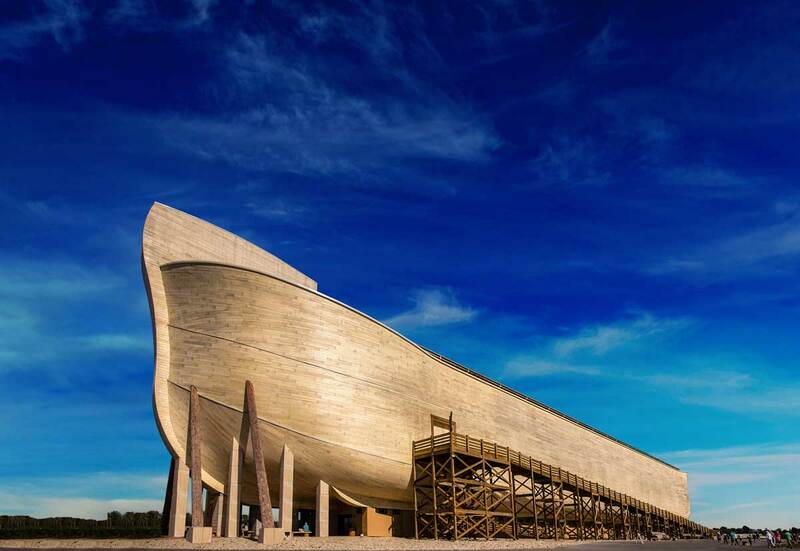 You’ve probably seen pictures of Noah’s Ark in children’s books, complete with giraffe heads sticking out the top. But the real Noah’s Ark, the one described in the Bible, was huge. It was amazingly seaworthy—a ship that kept the occupants safe during a year-long worldwide flood. 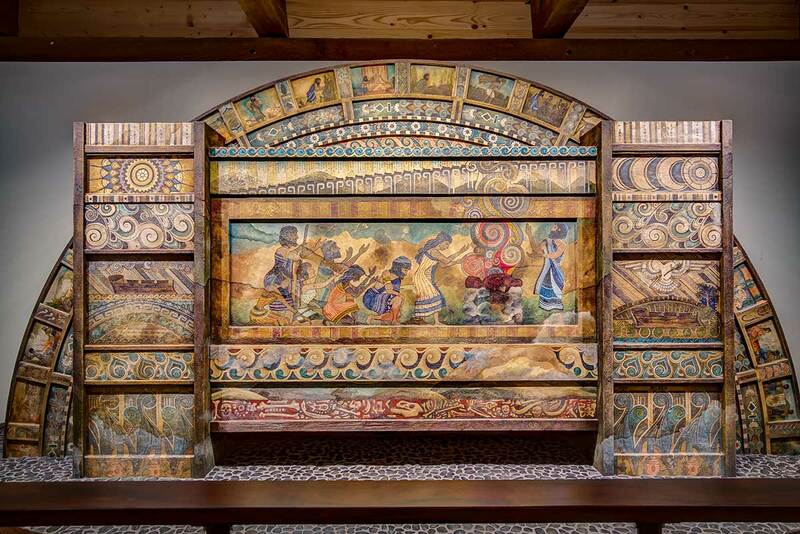 Prepare to be blown away as you explore the life-sized reconstruction of Noah’s Ark. The Ark Encounter is a world-class theme park featuring the most authentic, full-size replica of Noah’s Ark in the world. Spanning 510 feet long, 85 feet wide, and 51 feet high, this modern engineering marvel amazes visitors young and old. 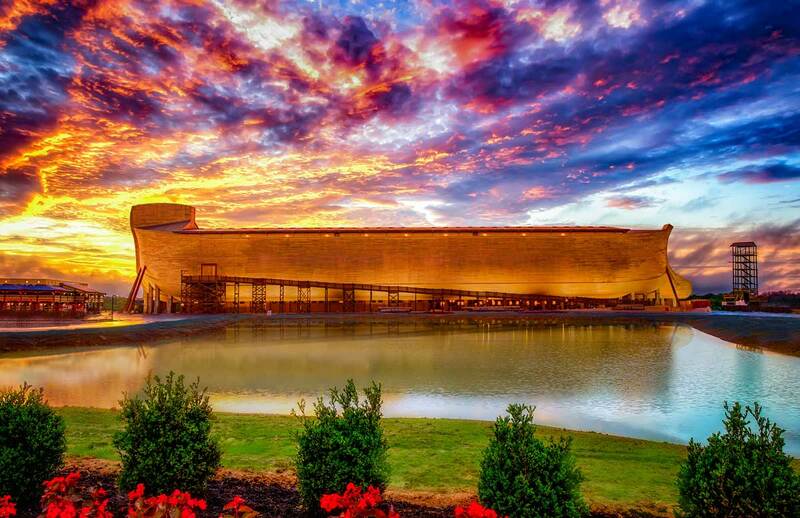 The Ark Encounter is situated in beautiful Grant County in Williamstown, Kentucky, halfway between Cincinnati and Lexington and right off I-75. Scores of teaching exhibits about the Flood, Noah, and the animals are designed to answer your questions about the biblical account of Noah’s Ark. Visit animals from around the world like Tibetan yaks, kangaroos, and ostriches. Then imagine you live in biblical times and take a ride on a donkey or camel. Relax and enjoy a buffet or salad bar with friends and family in the two-story, casual Emzara’s restaurant. Soar down thousands of feet of zip lines, go up to 50 mph, and reach 17 stories in the air. Ten of these mega zip lines are 1,000 feet or longer! Explore a wide range of books, DVDs, apparel, stuffed animals, and handmade gifts at the Ark gift shop. 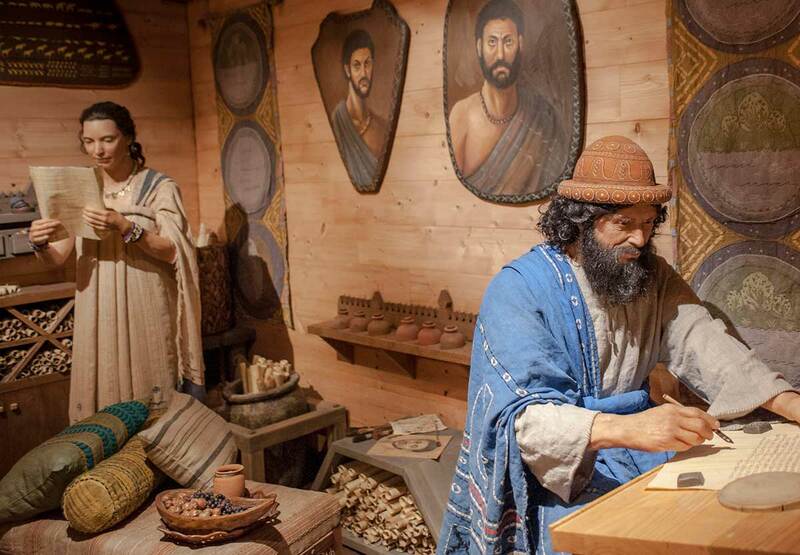 Pick up the perfect souvenir and keep learning about Noah’s Ark.